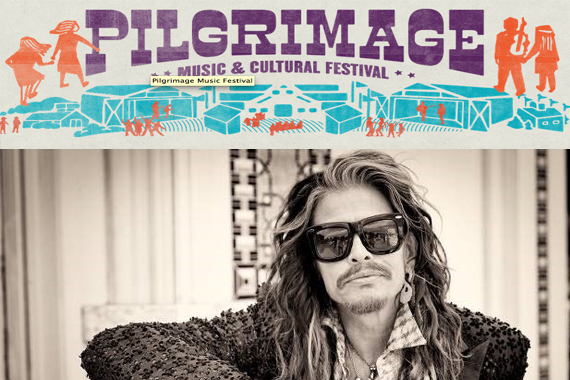 Franklin, Tenn.’s inaugural Pilgrimage Music & Cultural Festival has added Steven Tyler to its lineup of performers. Tyler will perform with Nashville-based band, Loving Mary. Willie Nelson, Wilco, Weezer, Sheryl Crow, Chris Stapleton, John & Jacob, Nikki Lane, Cage the Elephant, Iron & Wine, Punch Brothers, Holly Williams, and more have been previously announced for the Sept. 26-27 event at The Park at Harlinsdale Farm (lineup below). Benefiting the City of Franklin, Franklin Parks and MusiCares, the two-day event will feature music, food, and culture set against the natural amphitheaters of the former walking horse farm. Food and beverage participants will be announced this summer. In addition to artists performing their own sets, Pilgrimage will feature Pilgri-mashups where one-of-a-kind pairings of musicians collaborate with one another on stage as well as the first-ever Kitchen Stage and Sippin’ Stage and Little Pilgrim’s Landing specifically for kids. Single Day tickets are available for $92. Two-day passes are $172 (VIP $499). Children under 10 get in free when accompanied by an adult ticket. Click here to order. The festival recently announced the lineup for the Hohner’s Little Pilgrim’s Family Stage which features performances by Ralph’s World, Secret Agent 23 Skidoo, Jazzy Ash & The Leaping Lizards, Farmer Jason, Casey Campell, Laura Doherty, and a special performance by Tom Mason and the Blue Buccaneers aboard the Pilgrimage Pirate Ship.